Organisations across industries are faced with the challenge of staying relevant in a rapidly evolving world. Yet so many transformation projects fail to hit the mark. SK+ is here to change that. Many consultants hand over strategy decks and wave goodbye. Not us. 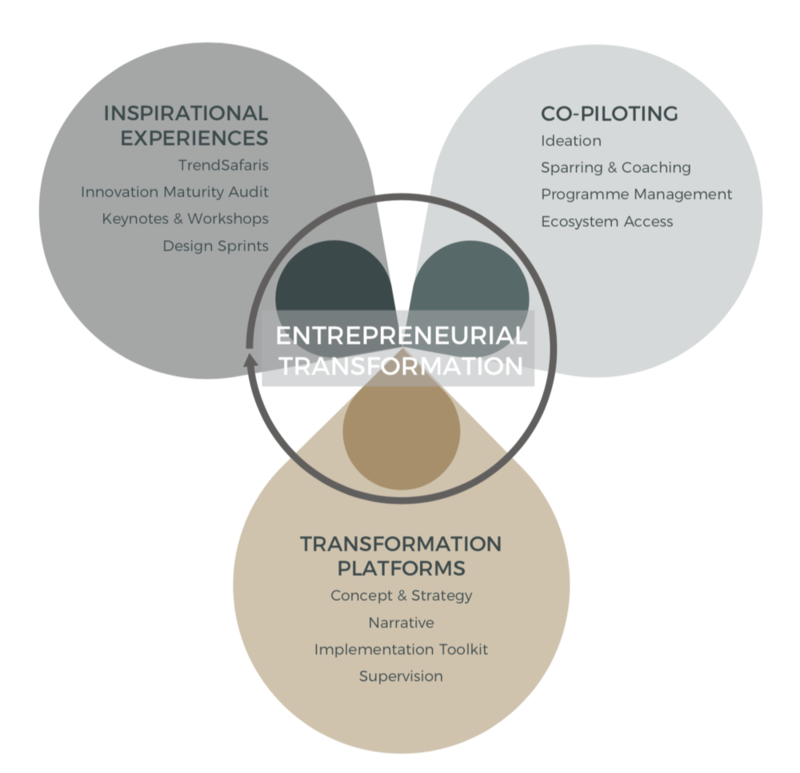 We co-pilot your entire entrepreneurial transformation journey, from helping to identify new opportunities right through to building, testing and refining them. To plant and sustain a culture of innovation, individuals across an organisation must be empowered to think, act and feel like entrepreneurs. Entrepreneurial spirit is characterised by innovation, bold decisions and an ‘always in beta’ mindset. It enables organisations to constantly find new ways to sustain, create and maximise value. A process of profound change that sets an organisation in a new direction and elevates it to a higher level of effectiveness. Transformation involves a fundamental change of character and little or no resemblance to the past configuration or structure. It is the key to accelerating and maintaining growth. Drop us a line if you’d like to learn more about how we’ve helped our clients to build ecosystems for innovation from the inside out.